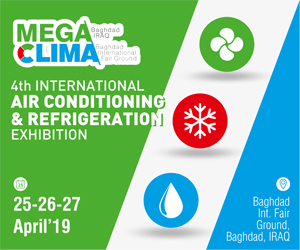 A champion of clean air and an expert on air filtration, Dr Iyad Al-Attar, Regional Director (Middle East) and International Consultant, EMW Filtertechnik, Germany, is familiar to readers of Climate Control Middle East through his series of analytical articles on the subject. He provides personal glimpses during his conversation with B Surendar. I’m a person of Syrian origin, born in 1971 in Kuwait, where my parents lived. I grew up and finished my early schooling there. My parents thought that I would, one day, become an engineer, as I always dismantled toys to see how they worked. Evidently, I never had a functional toy as a child. In 1990, my father expressed the idea that I should go to Canada to get better exposure to English. He also believed that the move would help me have a more structured personality. So, I went to Canada without hesitation, as his words always meant a lot to me. I’m grateful to Kuwait, because it was a stepping stone to my move to North America. Canada played a major part in my life. I did the final years of high school at Woburn Collegiate Institute in Toronto from 1990 to 1992. And in 1992, I joined the Mechanical Engineering programme at the University of Toronto. It was while in university that I met one of my mentors, Professor William Cleghorn, during my first year of engineering. He taught me three courses during the entire programme. He was also my Bachelor’s supervisor. In my Final Year, I joined the Manufacturing Research Corporation of Ontario (MRCO) – a scientific research body. It was part of a programme which connected the Fourth Year Engineering students to industry to do research, and I did the programme with IMAX. During this period, I developed a working model for a project, which was part of the Kinematics and Dynamics course meant for Third Year Engineering students, and was nominated for several awards. After obtaining my Mechanical Engineering degree in Toronto, I returned to Kuwait and started a Master’s programme at the Kuwait University. As part of the programme, I constructed the first air filtration tunnel and conducted initial testing for it. I believe it is still there at the university. A picture of the testing facility made it to the regional ASHRAE newsletter in 2003. In April 2004, I registered for my PhD at Loughborough University in Leicester, UK. The turning point for me, however, was in October 2003, when I went to Dusseldorf for my first international conference – Filtech Europa – a biennial event, which is a gathering of filtration professionals. It provides an opportunity for meeting people from the industry and doing research. I went there as a member of the audience, in order to learn from the experts. The event prompted me to register for courses in Filtration conducted by Professor Richard Wakeman and Steve Tarleton. I was a great admirer of Professor Wakeman, and wanted to study under him. When I first approached him, eager to show my Master’s presentation and line of research, he started off by sparing only a few minutes of his time. But when he saw a few of the slides, he expressed interest in seeing the rest of them, as well. He, then, suggested that I should do my PhD. “I want you as a student,” he said, and I felt honoured. I certainly learnt a lot from him. In fact, he influenced my thinking and approach to filtration problems and general engineering problems. I learnt to emulate his confidence, calmness and competence. And I also got a ‘mini PhD’ from him on how to deal with people at a personal level. He was very articulate and had the art of making you feel comfortable about not only what you knew, but also about what you didn’t know. It was this newly acquired self-confidence that nudged me to eventually make presentations at Filtech Europa. To date, I have made presentations in 2007, 2009 and 2011. Though I went to England to do my PhD, in reality, it involved three countries – Kuwait, UK and Germany. We used the environmental dust in Kuwait as the benchmark for dust levels in the GCC region to characterise the dust chemically. The research itself had global implications, because we used a full-scale filtration set-up and also a full-scale set of experiments. We used a wide range of flow rates – from the very low to the very high – covering those used in the industry, and were able to monitor the velocity effect on the filter performance from an efficiency and a pressure drop point of view. The most challenging aspect of the PhD programme was to find a suitable place for conducting a set of experiments, and also where permission could be obtained to do so. I’d like to express my gratitude to EMW, and to Gerlide Drache, the MD of EMW Filtertechnik, Germany, in particular, for readily granting me approval and full access around the year to conduct the set of experiments needed. She also granted me full access to the manufacturing facility to accommodate the design requirements for my PhD. Here, I must explain that though the dust acquisition was in Kuwait, the UK was where the research work was done, and included conducting a set of experiments. In fact, the characterising part of the work was done there. I was grateful to receive the Thomas Hogg Overseas Scholarship from the University of Toronto to do my PhD outside the US/Canada. The criterion for winning it was doing research in fluid mechanics on turbo machines. Fortunately, air filtration fell under fluid mechanics. While doing my PhD, I was closely associated with the industry and working in it. The reason I preferred this setup was because I came to academics after I had recognised the technical challenges and identified the areas that had, hitherto, been untouched. Therefore, my endeavour was not merely to get a PhD but to bridge the gaps I saw in the industry and fill the lacuna in knowledge. I sincerely believed that there were many untold stories and many boxes that had been left unopened and that I had not so far been able to open. For instance, I wanted to know what the particle size for a particular application was. To gauge this, you need a particle sizer – a tool for quantification. If the tool is absent, you cannot achieve much in air filtration, as it is a crucial parameter; nearly everything depends on this. In fact, a particle sizer that went to nano scale was needed, as it would add a new dimension to the research. The most interesting question is, how does a sandstorm affect us? Dust in the GCC countries is mainly silica. Inhaling a certain concentration of silica is unhealthy, and we need to achieve higher efficiencies of air filtration not just for specific places, but even for residential and commercial spaces, regardless of international standards. Some of the international standards tell us that for offices, 65% efficiency is considered acceptable. But I believe that 95% efficiency is necessary. If someone were to choose to challenge me about this, then my answer is that intelligent filter design available in the market makes high-efficiency filtration possible and accessible, in terms of energy consumption. In old designs, a 95% efficient filter would require about 170 pascals. Now with newer designs, you can achieve the same efficiency with 95 pascals. Here, I must point out that the actual performance of absolute air filters used in HVAC and gas turbine air intake applications tends to deviate from the performance predicted by laboratory results. This is especially true in the Arabian Peninsula, as the region is prone to frequent sandstorms and known to have dust with characteristics deviating from that of commercially available synthetic standard dusts. Therefore, detailed knowledge of the physical and chemical characteristics of dust challenging air filters is needed to better understand, evaluate, predict and enhance the performance of absolute filters. This would prove invaluable in investigating the impact of these characteristics on filter performance. While we can use the global research using standard synthetic dust, we cannot rely on the results totally, as the physical and chemical characteristics may differ, resulting in difference in filter behaviour. The filter performance is a function of the geographical location and/or the field of application of the filtration technology. Quantifying sandstorms is the challenge that the region faces. Sandstorms demand further research in order that we learn more about filter behaviour during dust loading. Having said that, that alone is not enough. Filter manufacturers need to adjust their filter designs to accommodate the extreme properties of the regional dust and its concentration. Without the support of the GCC governments, it might take decades to achieve any real milestones in the field of air filtration. Meanwhile, the region will have to rely on overseas research centres and their laboratories. Therefore, I highly recommend a Filtration Research Centre (FRC) to be established in the GCC region and attract scientists and researchers who can contribute to the crucial field that has long been neglected. I sincerely believe that government support in the GCC states will go a long way in supporting the cause of air filtration. Allocating funds for air filtration research is the first step in the right direction. 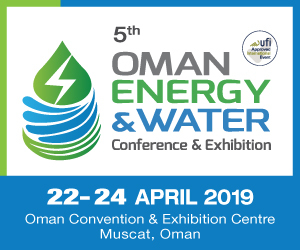 It could, for instance, be used for testing tunnels, labs and measuring devices to accommodate the different types of experiments needed to better understand the filter requirements of the GCC countries under different ambient conditions. We also need to simulate the dust concentrations reached during sandstorms, which are frequent in the region. I also think that we need to update air filtration requirements in the GCC states, especially in relation to green buildings, clean rooms and operation theatres. My question is: How can we address our aspiration to have top-notch buildings, without being willing to listen to or look at recent innovations in air filtration? I would love to hear a building winning an award for IAQ or for being with the least particle presence. We don’t have a sticker saying, ‘This building is a HEPA-clean room area.’ We always care about things that are visible, like furniture and thermal comfort, but we don’t always consider air quality from the particulate suspension point of view, which is also important. Everybody would like to have HEPA on air conditioning. But what about pressure drop? Fortunately, now the new design reduces the pressure drop. I, therefore, think the sector should pay heed to recent developments. International standards need to be updated. We need to change our perception of these standards and interpret them appropriately. But are there appropriate standards in place to fit the region’s harsh dusty environment? Yes, there are standards, that factor in certain type of dust with particular physical and chemical characteristics. But do these characteristics fit the types of dust prevalent in the region? The answers to these questions may not be readily available. So, we need to further investigate and update the standards. We need a regional version of the international standards to ensure that appropriate air filtration selections are made. Above all, for all these to fructify, what is needed is the support of the governments of the GCC states. In my opinion, universities and research centres will not be able to do much if the proper tools are not present to take research on air filtration further. We cannot rely on yesterday’s selections for tomorrow’s requirements. We need to look at what goes into Intelligent Building design. Eventually, we build to live inside. So, clean air is needed to make the building pleasant and habitable. We, therefore, need to place more emphasis on air filtration. Due to an erroneous perception, many in the construction sector think that air filtration has to be given due consideration only if it is part of the Green Building criteria. Instead, I would like to see people striving and competing to provide clean air. People generally associate clean air only with operation theatres and incubators or if there is a baby at home. But we forget that the child might go to a daycare centre and fall ill. We only tend to look at the teaching quality of schools. But we never consider its air quality. Do we trace the source of the air inside a building? 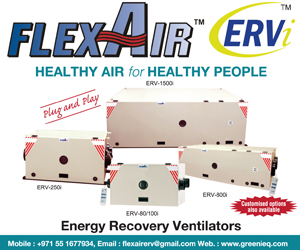 We need to promote air filtration to the point when it becomes an integral part of the requirement. It is unfortunate that only when there is an epidemic do we think of filters. And once it is over, so is the concern about clean air. The general tendency is to be reactive to certain circumstances, rather than being proactive. 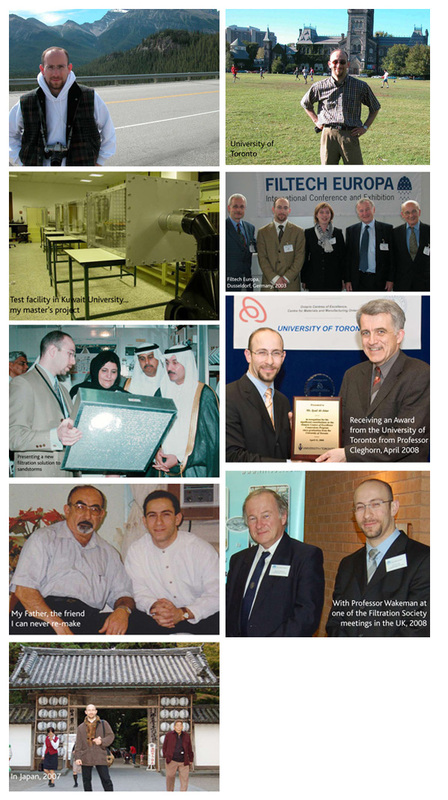 In 2000, I joined EMW Filtertechnik, Germany, to represent the company in Kuwait. From 2000 to 2007 the model I had established proved to be successful, and in 2007, EMW asked me to be the Regional Director for the Middle East to expand their business interests in the region. But my association with the organisation, of course, goes back to my Masters Degree days. They had sponsored part of my Master’s programme. And even while working for my PhD, I was part of EMW. I think I’ve always been a part of EMW. Basically, I grew up with the organisation. I feel I’m the child of the company and that I belong to the family. I owe my success to it. As their International Consultant, I enjoy a certain degree of independence. The company has supported me in all aspects – technical and otherwise. They are open to new ideas and are willing to listen. They are flexible and accept any design modifications to accommodate the end-users’ requirements, but within the parametres of air filtration design. Also, they respond quickly to customers’ requirements. What I find most gratifying is their rigorous commitment to quality. The German definition of filtration implies doing textbook filtration – we play by the book. And this makes EMW special. Their eagerness to promote any filter modification that would make air filter one pascal less to save energy is really a great motivator. My father, Mohammed Sharif Al-Attar, had a huge positive influence on me. He inspired me at several stages and in different missions of my life. He was always my counsellor, whom I consulted on almost every aspect of my life. He not only gave me valuable support, but he was also my driving force who ignited my ambition. My father was not only the greatest man I had ever known, but he is also the friend I can never remake. The fact that I lost him makes me feel that I’ve lost my right arm. He has left a huge vacuum in my life. My mother, Aisha, is another role model and a source of emotional support for me. She is a great believer in education. When I was young, she would always tell me, “Acquiring knowledge erases ignorance.” It influenced my belief that one can never cease to learn. Although her tears were not always visible, she supported my educational endeavours in Canada, Germany, England and Sweden, knowing that my long absences were for my own good. If there is one person I owe all my success to, it’s certainly my mother. My wife, Hadeel, has also been really supportive, and has played an important role in me completing my PhD. She provided me the right environment to enable me to focus on my work. Professionally, Professor Cleghorn and Professor Wakeman have been my mentors and have contributed to my success. I belong to Professor Wakeman’s school of thinking, and he is my role model. I love travelling and do so whenever time permits. I’ve visited 37 countries. The Rocky Mountain in Canada is a favourite destination. And I love horse riding in Normandy, France. Visiting the wonders of the world is a favourite pastime. I love to interact with people of different cultures. Over the past 10 years, travelling has taught me to be tolerant and understanding and encouraged me to accept and learn about other cultures. I think, in the end, it’s the common denominators that bind us together as human beings. I would like to share what I’ve learnt from different cultures with others. I think my desire to travel is also in some way, aligned to my life-long mission to promote better air filtration practices. With this as my goal, I’ve given presentations in Kuwait, the Kingdom of Saudi Arabia, the UAE, Oman, Jordan, Egypt, Lebanon, Qatar, Bahrain and Germany. My aim is to take my message to every city worldwide until people are better informed. I think I’m an eternal student. I’d like to study and learn till my dying day. I believe that learning should not be associated with age. In life, you can never say that you’ve learnt enough. It’s like breathing. It’s like oxygen to the brain. But mere knowledge is of not much use if it’s not applied to improve the quality of our life. The mantra that constantly buzzes in my mind is: Making a difference to humanity starts with knowledge. I want to make a global difference in the field of air filtration. I realise that the first step to achieving my goal is to equip myself with appropriate academic tools in order to position myself to make an impact. This was exactly why I dedicated my professional and academic endeavours towards the study of air filtration and promote it as a science and unfold its secrets. I’m convinced that filtration can and will improve the quality of life of people in many nations by giving them access to cleaner drinking water and air – two of the most important elements in life. But do we dare to bridge the crucial technological gap between the developed and the third world countries? I’m deeply involved in the subject of air filtration. I entered the field of air filtration to make a global impact. But we need to learn more, conduct more research and share. If I learn and don’t share it, then my knowledge dies with me. I’d like to continue to do research and understand the mysteries of air filtration. I attended a PhD external course at the Stockholm University in 2005 in Urban Air Quality, in order to update my knowledge and interact with the world’s most experienced professors and lecturers in different fields associated with the health effects of contaminants and the urban sources of emissions. The same year, I founded the Connections Award at the University of Toronto, for the best presentation, given to those working on a thesis from the same industrial group. I decided to institute Connections, because I wanted to give something back to the programme. The award has been running for the past 15 years. I sometimes wish such an incentive had existed during my student days. Recognition is my major driving force, and I would have been really proud to see my name engraved on the trophy. It would have spurred me to work harder and do better. I hope that the award will light a spark of interest in the coming generation. I was recognised by the Department of Mechanical Engineering, University of Toronto, in 2008 and 2009 for my contribution to the Connections Programme and for founding the Connections Award. I’d like to support further research, especially in air filtration in terms of helping students with limited financial resources. This is because, there are more people studying liquid filtration than air filtration, and I strongly advocate further research in the field. Whether we zoom in or zoom out, overlook or squint to assiduously observe, the air filtration process is part of our daily lives. As human beings, we can survive only for a few seconds without air. So, air filtration is crucial, and has its fingerprints pervading all human activities. 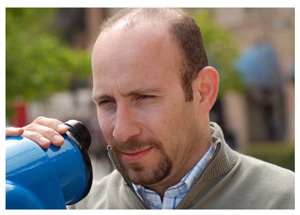 Dr Iyad Al-Attar is an international consultant in air filtration. He is a Mechanical Engineer from the University of Toronto and received his Masters degree from the Kuwait University in 2004, as a part of which, he constructed the first air filtration facility in Kuwait and conducted the first set of experiments on it. His Masters and PhD involved conducting research on advanced air filtration technologies with special emphasis on the physical and chemical characterisation of atmospheric and synthetic dust and air filter performance in operation during sandstorms. In 2008, the Filtration Journal, which is the official Journal of the Filtration Society in the UK, appointed him as the Editorial member from Kuwait. The American Filtration and Separation Society has appointed Dr Al-Attar as an international member of the Editorial board from Kuwait. He is a member of the Aerosol Society, UK. There are two segments to the topic. One is perception of people to air filtration and the other is the perception of the HVAC design sector to air filtration. People regard air filtration as a filter that just cleans the air. But what they are not aware of is, to what degree it cleans the air and at what pressure drop. To the uninitiated, the straining process is like straining tea leaves. And they always speak of filters as removing an ‘X’ particle size. But this is not how filters work. The straining process is just one element of the complex filtration process. When it comes to the HVAC equipment, in general, it appears that more attention is paid to fan selection, motor, coil, or to the total structure, than to filtration. The filter component seems to be taken lightly, without giving due consideration to the geographical location or where the AHU is going to be placed. Similarly, not much thought is given to the physical or chemical characteristics of atmospheric dust. In fact, filter performance highly influences the performance of AHUs. It also affects areas like good air filtration performance and dust settling on the coil, requiring frequent washing. Introducing water to the fins could promote the growth of micro organisms and rust. Air filtration is thus, a preventive measure to protect the HVAC equipment, be they coils or ducts.